Ongi etorri! This is the expression used to welcome outsiders in the ancient, little-known Basque language (one of the oldest in Europe). You are sure to hear it many times when you attend the forthcoming AAL Forum 2018 in Bilbao, the capital city of Bizkaia. And those who say it will really mean it. If there is one thing that Basque in general and people from Bizkaia in particular love, it is to make visitors feel at home. What is more, people here will go to great lengths to make visitors feel at ease and help them enjoy the cosmopolitan atmosphere of the city, which is surrounded by unique natural beauty spots (both on the coast and inland). Another key feature that you are sure to notice when you attend the AAL Forum is the passion of local people for healthy, natural food. The magical cuisine of the Basque Country, based on locally-grown natural vegetables, meat & fish, enjoys an excellent international reputation and is one of the things visitors to the area remember most fondly. There is something to suit all tastes (and all pockets). A basic term that you need to know in regard to food is ‘pintxos’: it refers to bar snacks, usually accompanied by bread, which are striking in their careful preparation and combinations of tastes and textures. Visitors to Bilbao are spoilt for choice with the huge range of savoury and sweet pintxos on offer in every bar, each one seemingly more delicious than the last. It is customary in Bilbao for groups of friends, many of whom have been hanging out together for years, to tour the bars in a particular street or square sampling the pintxos, though there are far too many for anyone to visit them all on the same day. Visitors tend to be amazed at the capacity of the Basques to eat and drink well. Walking is another custom in Bizkaia; walking a great deal. Bilbao boasts excellent public transport (Metro, tram, buses, etc., all accessible to persons with disabilities), but the city is conducive to wear-and-tear of shoe-leather. The mild climate, the safe, quiet streets, the attractive shops and shopping centres and the amazing architecture all encourage this. Bilbao’s many fine buildings include the Guggenheim Museum Bilbao, a major tourist attraction, and the Euskalduna concert hall and convention centre. Take a stroll along the magnificent Paseo de Abandoibarra riverside promenade or around the Old Town, the retail hub of the city, with its narrow streets and squares full of a wide range of shops selling just about anything that you might want. Finally, another custom that you should not miss on your visit to Bilbao is investigating the history of the city and the province: there are many pleasant surprises to be unearthed. Must-see attractions in this regard include the Fine Arts Museum (which has one of the best art collections in the country), the Basque Museum and the Maritime Museum, where you can find out more about the industrial and commercial past of the city. 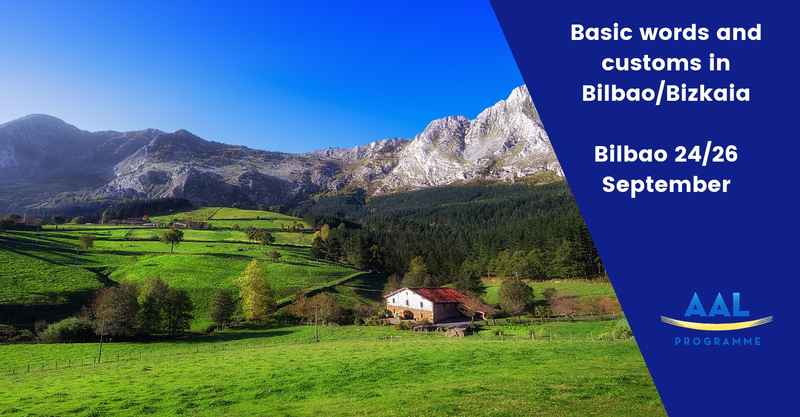 If you have read this far, it is time for you to learn another basic expression in Bilbao, which Basques use to express their gratitude. It is simple but heartfelt: eskerrik asko! (thank you very much!). AAL FORUM 2018 – BILBAO – biggest healthy ageing event of the year!